Much though there is to admire in Oscar De LaHoya’s glistening career and despite the perfect role model he represents for any aspiring pugilist his status as boxing’s Golden Boy, and the enormous cheques his crossover appeal allows him to accept and write, is beginning to leave me a little nauseous. Oscar isn’t the Light-Middleweight champion, nor is he a Welterweight titleist – you need to go back to 2002-2003 for the last time he won and defended a belt – and yet he remains the ultimate goal of every fighter from 130 to 160 pounds. With this financial luster comes responsibility. One he will ignore if he opts for Paul Williams. The race to face Oscar has featured a number of prominent faces, and of course the likelihood or appeal of all the entrants has fluctuated as they’ve respectively fought these past few months. This week’s rumour, that bean-pole Paul Williams is the front runner left me probably coldest of all. If we are to accept Oscar as champion by proxy, or honourary belt holder then he really needs to reward those faceless thousands willing to anoint him, despite 3 defeats in his last six fights, to such levels, i.e. the fans. Oscar doesn’t need to please sanctioning bodies anymore, he barely need appease the HBO paymasters – he could face Kermit the Frog and do satisfactory PPV numbers – but he does need to embrace the will of the people. Its a prerequisite isn’t it? If Oscar opts to face Williams, awkward and earnest though he is, he will be defaulting on that unspoken agreement. Williams isn’t the fighter fans want to see Oscar face. The departures of Mayweather and Cotto from the race, leaves only Hatton, Margarito or Pacquiao as genuine crowd pleasing opponents and I would venture Hatton is an exposed force at the Welterweight limit. Margarito is the man of the moment following his absorbing victory over Miguel Cotto and only he or Manny Pacquiao will draw the buzz usually associated with a major fight. Manny Pacquiao was once viewed as too light to be considered, but victory at Lightweight over a strong sturdy opponent showed further steps up in weight may not be beyond the Filipino great. The field was clearing. Distractions like Sergio Mora, Chavez Jnr were filed away and ageing former foes Trinidad and Mosley disregarded on issues of weight and appeal. The case for Williams is strong, he is a belt-holder at Welterweight following an eye-catching revenge knockout of Quintana and he holds a recent points verdict over Antonio Margarito. Theoretically, victory over Williams places Oscar above Margarito despite the latter’s thunderous swamping of Cotto but it doesn’t ignite. It doesn’t pitch together two star attractions. And as a fighter who wears a people’s crown rather than an official one, or even one presented by his own magazine, Oscar should not need to justify his selection. A war with Margarito or an absorbing face off with Pacquiao are the only fights worthy of the wages, the types of intriguing fantasy match-ups deserving of the attention the fight will be afforded. Margarito has booked to face Joshua Clottey in November, in what could prove to be another classic, and seemingly narrows the field still further. Please Oscar, go for Pacquiao. Make the deal and remember who really bank-rolls your fights. 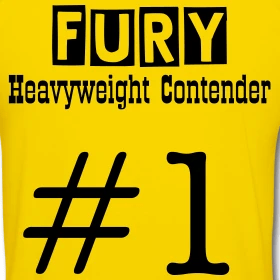 For a host of unique, unofficial, unendorsed tribute wear, made to order and shipped within 48 hours visit www.boxingwriter.spreadshirt.net or click on the image below. Chunky Gold Medina; Degale to go pro?